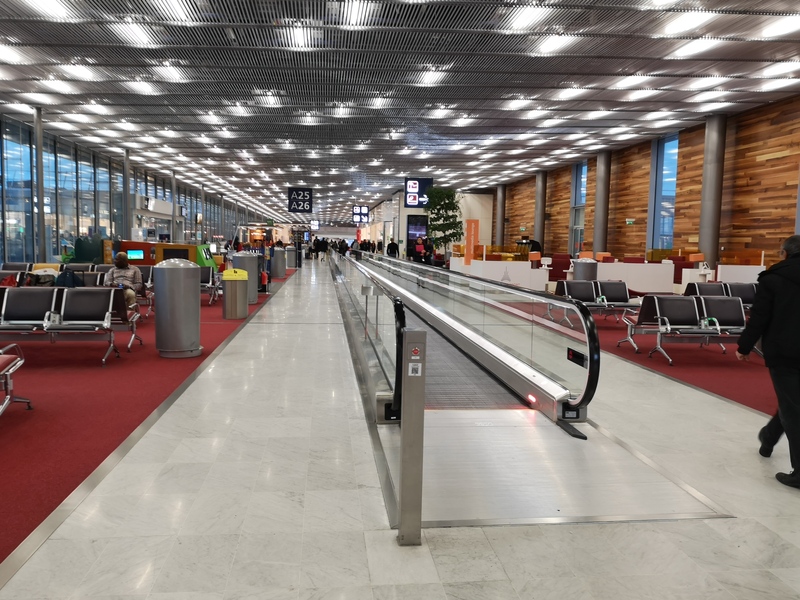 ✅ Trip Verified | The tiny Orly airport is busy in the day time and there are many passengers but not enough seating. The security check takes long time and there is a long queue. They need to rearrange the security checking area and allocate more staff. Less shops in the waiting area but prices are normal. 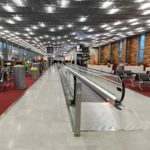 "eating options mediocre and expensive"
Not Verified | I have travelled through Paris Orly several times during the past three years and I would like to share some tips to make the experience bearable. Even though it´s more expensive always use the OrlyVal to connect to central Paris. Agree it is a rip-off as the ride to Antony is only 10 minutes and then you´re in the standard Paris RER but you won´t regret it as the Orly Bus can be hellish especially during rush hour and when it rains. Ignore any self-appointed taxi driver who greets you with a "bonjour" and only use the official meter taxis parked outside the terminal. Even better don´t take a taxi. Because of the Paris traffic chances are that it will take longer than public transport anyway. Always try to smile to the overworked and overstressed security officers: just like you they don´t want to be there but have to and every single day to boot. Also I disagree with some of the previous reviewers and have always found them reasonably polite and efficient. Eat before you get to the airport as the eating options are limited, mediocre and expensive. Above all keep calm and do not complain: you are in France and complaining will make no difference whatsoever. There is little space and sometimes you are forced to sit on the floor. Accept it: that´s the way it is. Bring a good book and try to disconnect from what surrounds you. I agree both South and West Terminals are bad enough but if you can fly from Orly South which is bigger, modern and more airy. Orly West is claustrophobic, tatty and reminds me of a low-cost terminal. Finally remember that the alternative to Orly is CDG or Beauvais. Enough said. "We are sitting on the floor"
✅ Trip Verified | There is no airport seating! We are sitting on the floor. They have seats by your gate but we are 1.5 hours early and they have gates around all the seating that does not open. We had to go far away from our gate to find a place to sit on the floor. You go by restaurants but they only allow customers to sit. There is a few places to sit but they are completely occupied. I have never experienced this before and I travel a lot. I cannot believe this is allowed. Not Verified | The worlds most painful, vicious, rude, nasty, officious security. Completely disorganised, no idea what they were doing, but just pompous and grandstanding. Took 25 minutes for a queue of 8 passengers to be processed. While they chatted, allowed friends through, and made life miserable. Avoid traveling through here at all costs. 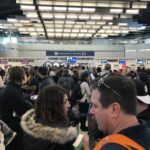 Not Verified | This has to be the worst experience I have ever had at an airport, had to wait one hour to get my bags from the carousel. This airport only has 3 carousels, the one I was waiting on had several flights coming in to that 1 carousel, the other 2 only had 1 flight per carousel then I had to wait 40 minutes for a taxi. Worst airport ever. 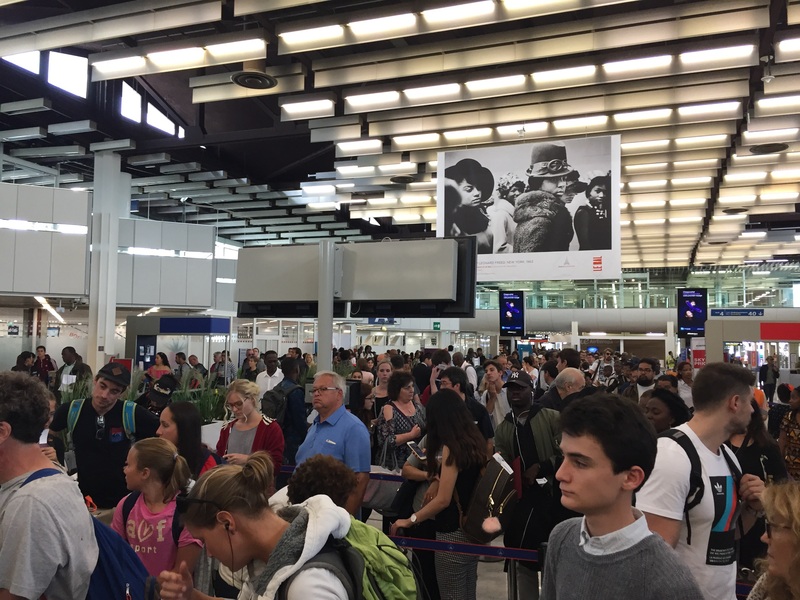 "had no meter in the car"
❌ Not Verified | Upon arriving at Orly I went to look for a taxi. I was approached by many drivers near the ground transportation area but to be safe, sought help from the official ground transport attendants wearing green vests. These guys sent me with a driver, who turned out not to be a taxi driver at all had no meter in the car. After driving me to my hotel, a trip which should have been 40 EUR, he demanded 200 EUR and became very hostile and almost violent. Be Warned. ❎ Not Verified | Awful beyond belief. Misdirected by Air France four times. There were customers screaming at "customer service" people at three different locations, and at two of them, police were called. Missed my connection, and then misdirected to place to get new connections. If it wasn't for the one man who worked for Jet Airways, I might never have escaped. Literally stood at a counter for more than an hour, only to have the agent leave because her shift was over, and had to start again. Everything was poorly marked. The bathrooms were filthy. "a disaster from start to finish"
✅ Trip Verified | This airport is a disaster from start to finish. Firstly, I was flying from Dublin Airport, Ireland, where we were served by a different airline (originally Transavia), which, if things were up to scratch, that would not have been a problem. Secondly, the flight was delayed for an hour and a half, which was only made aware to us at the last minute. Thirdly, Transavia decided to fly into Charles de Gaulle, and not Orly as promised. Now, I am a 21 year old girl, and I can tell you from experience that France, and thus Paris is not a safe place to be travelling on your own, especially at night with a large 20 kg suitcase, a small 10kg suitcase, and a handbag. How on earth can this airport compensate the "service" that they have provided me? Do they have any idea how horrible the situation was for me? The principal in the school that I work in was supposed to collect me at Orly at 22.45, as scheduled. But, it was unfair on him to come to collect me at CDG as it is over an hour's drive from where I live. Fair enough, a bus was provided from CDG to Orly, but, not only were there no signs on these buses to identify them, I then had to wait on the bus for an hour for another flight. It was now 1.15 in the morning. On arriving at Orly airport, I had planned to get a taxi from Orly to where I live, seeing as my principal could no longer collect me. France is not the place to be getting taxis on your own in the middle of the night. But on arriving at Orly, there were no taxis in sight. Therefore, I had to wait over 2 hours, after already being delayed so much thanks to this airport, for the 191.100 Keolis bus from Orly to Juvisy, to make the first morning train (5.18am) from Juvisy to Brétigny-sur-orge. I had to wait 45 mins again at Juvisy for that train. Then, I had to wait another 45 mins at Gare de Brétigny for the bus towards le Plessis-Paté, which was at 6.15. I arrived back home at 6.30 am, over 7 hours later than planned. At the airport there was not one Transavia assistant there to help. It it absolutely disgusting and disgraceful. Now, I cannot emphasise how furious not only I am, but all my family at home are absolutely furious. Can you justify how they left a 21 year old girl alone in the airport at night with no explanation at all? Do they even care? I have flown with Transavia a few times, and every single time the flight is always delayed at least an hour. 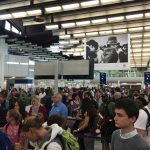 Every single occasion that I travel with Orly, the line for security is always a minimum of an hour long, and there are always delays. 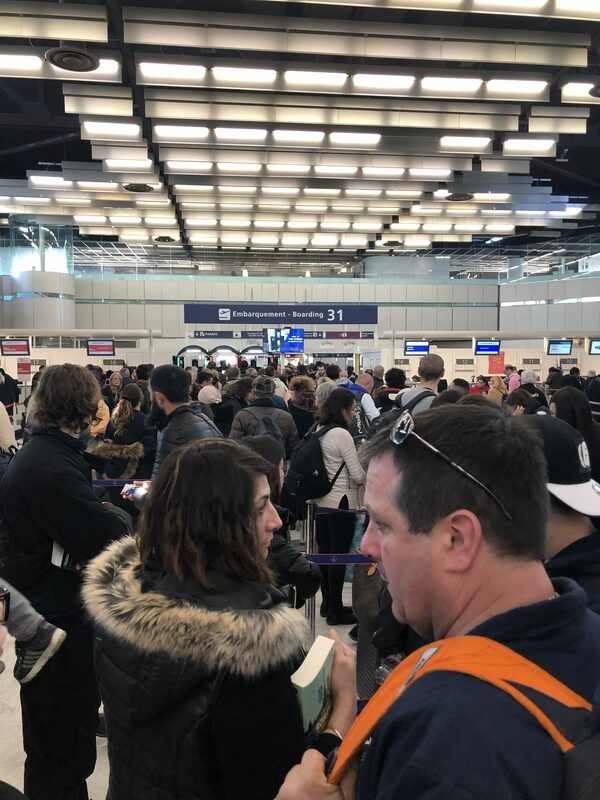 "airport is a nightmare from a to z"
✅ Trip Verified | Is this airport managed? Since a couple of days metro France has announced snow in Paris. Today it's snowing. What a surprise! But my flight will be delayed because aeroport de Paris has no de-icing means available. It's a shame for the management. This airport is a nightmare from a to z. ✅ Verified Review | Arriving from Toulon with Hop CRK: disembarking by bus: very long. Efficient transit procedures. Embarking area to Cayenne (West terminal - Hall 3 - Gate 31H): the area is planned for French West Indies and French Guiana flghts: all long haul planes: B772 that day. The area is enough for only one B777 passengers, not for 3 or 4! Always the same problems in Paris airport: they are too small for large aircraft.